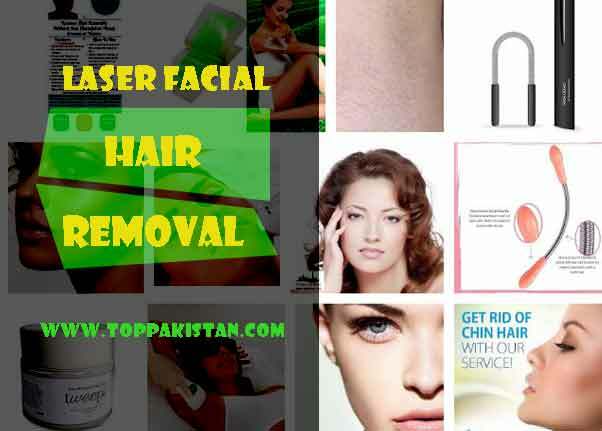 Laser Facial Hair Removal is very common now a days. In contrast with a layman’s perception about the notion of unwanted hair on the body, it is but a very common occurrence among people all over the world. Just that maybe people belonging to certain ethnic group or maybe living at different geographical locations, tend to have more than normal hair growth. Even the texture is more coarser. Hirsutism is another common hair disorder normally seen in women. People suffering from this disorder have excessive hair growth even in not so feminine parts of the body. They also may have some other masculine traits like thickening of voice & muscle build-up. To treat such a large area of hair growth through laser therapy requires lots of sittings. Regarding this issue of unwanted body hair, one can only sympathize with the modern women. There are temporary methods of hair removal like waxing, threading, applying hair removal cream, tweezing, shaving & bleaching. But these methods are time-consuming, messy & painstakingly agonizing. Though its worth mentioning that hair bleaches are also popular for excess facial hair. These methods also come with lots of possible side-effects like scarring, redness & irritation. Wouldn’t it be so wonderful if there could be a method that can eliminate those horrid little sprouts of hair forever? It wouldn’t be such a bad idea even if the hair growth is postponed till maybe 6 months at least. Well, thankfully there is such a method. Read on. Female facial hair is likely to worsen with age. Reason being, the finer & lighter textured hair which used to cover up the entire face now gets replaced by another type of hair which is more prominent & dark. Guys too have noticeable & extra hair as they age. A common example of this is hairs growing out of ears. Laser hair removal-in brief: A laser hair removal device emits a wave-like radiation. Now, when these rays are directed towards the hair follicle, heat is generated, due to which a sort of an inflammation is created. This finally results in the destruction of hair. Why is Laser Therapy a blessing for the removal of facial hair? Unwanted facial hair is like a recurring menace for women, in general. The most exposed & visible part of our body is the face. So it becomes more like a daily routine to either hide or remove facial hair. It can be really embarrassing when suddenly you realize that there is still an unnoticed tiny hair hanging around. It can become a socially distressing factor which ultimately leads to negative thoughts which further leads to low morale, its sets out like a chain reaction. Laser facial hair removal in reality is the ultimate & effective method. Any part of the face can be treated like chin, upper regions of the lip etc. Because the area surrounding the face is not large, the treatment then becomes faster & fewer sittings are required. Just after the first sitting, you will notice a considerable amount of hair removed that too forever! Though performed on the face, the procedure is not at all painful. There might be a feeling of slight irritation, this occurs when the heat generated by the laser rays is burning the hair follicles. Data relating to laser therapy. About the laser hair removal centre where you would go for the treatment. The qualifications & experience of the practitioner and his success stories. You should also ensure that the lasers which will be used are FDA approved. It always better to enquire about the expected results beforehand. Do avoid the laser treatment in areas closer to the eyes. Since the process involves discharge of laser rays which has penetrating properties & can damage the eyes. Even when the treatment is for rest of the face, it’s advisable to wear eyeglasses.